I'm always into trying new skincare products -- especially if they're a little crazier than normal. So when M.A.C Volcanic Ash Thermal Mask came my way, I simply had to give it a shot. This mask is like none other I've ever tried. It literally stayed black and grainy the entire time it was on my face! But don't be scared -- because, trust me, your skin will never look better. It's formulated with volcanic ash and natural oils to really bring out skin's glowiness. My favorite thing about this product is the warming sensation. As soon as you apply it to your skin, it heats up in the most pleasant way. I only needed about a quarter-sized amount to cover my entire face -- and after I rinsed it off, I could not believe how smooth and soft my skin felt. 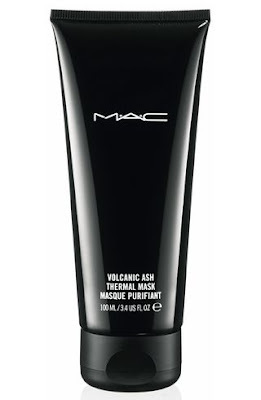 M.A.C Volcanic Ash Thermal Mask retails for $19.50.